Texarkana Texas Police responded to a call of a man “wrecking cars”. David Favors allegedly broke one woman’s cell phone, punched a woman in the face, hit another woman with his car, and then drove through the front yard to plow into two cars parked in the driveway. David Favors was hanging out at a party in the 3000 block of Hamilton Street last night. Everything was apparently going pretty good there until Favors got mad about something about 11:30. That’s when we got a 911 call that he was outside “wrecking cars”. Favors was already gone by the time we got there, but he’d managed to make a big mess before he left. 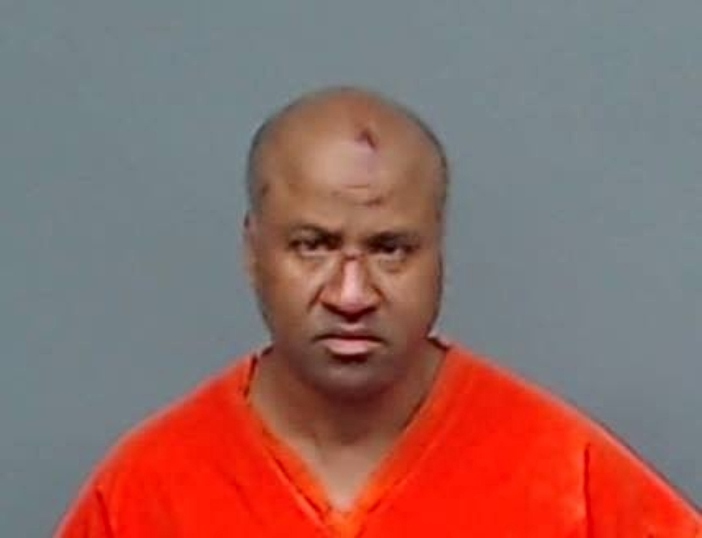 He broke one woman’s cell phone, punched a woman in the face, hit yet another woman with his car, and then drove through the front yard to plow into two cars parked in the driveway. Officer Nick Tirone found Favor’s vehicle as he was driving back toward Hamilton Street on Robison Road – with an ax in the front seat with him. Favors was stopped and arrested without incident for DWI, Aggravated Assault with a Deadly Weapon, Assault Causing Bodily Injury, and Criminal Mischief. He is currently being held in the Bi-State Jail, where his total bond was been set at $70,000 this morning.